The Community Foundation of Southern Maryland is overseen by a diverse volunteer board and operated by paid professional staff with expertise in understanding the community’s needs, opportunities and resources. 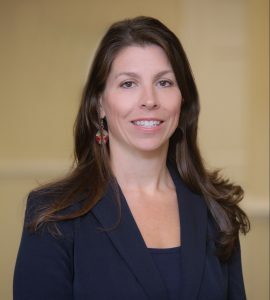 Ellen Flowers-Fields is the Southern Maryland Regional Director for the Small Business Development Center hosted by the College of Southern Maryland. The Small Business Development Center promotes and fosters entrepreneurship and business growth throughout Southern Maryland providing information and guidance for business owners to help them utilize effective strategies, initiate start-up or manage growth. Ellen has over 25 years of progressive professional experience in the field of workforce development and human capital management. 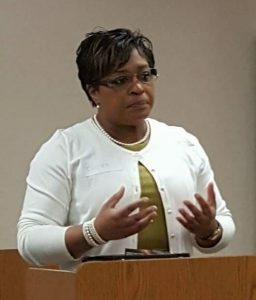 Her diverse background includes the implementation of various federal, state and local programs and initiatives that address community economic needs and challenges. Ellen is credentialed as Global Career Development Facilitator from the Center for Credentialing and Education. She a graduate 2009 Class of Leadership Southern Maryland, and a member of the National Association of Workforce Development Professionals and the Maryland Economic Development Association. Prior to serving as the Director of the SBDC, Ellen served as Deputy Assistant Secretary of the Division of Workforce Development & Adult Learning at the Maryland Department of Labor, Licensing & Regulation from 2011 – 2014; Regional Director of Economic Development at the Tri-County Council for Southern Maryland from 2006 – 2011; and Executive Director for Southern Maryland Works from 2000 – 2006. Affiliations include former Board Member Maryland Broadband Coordination Board; Past board chair, Bethel House Inc. Board chair, Community Foundation of Southern Maryland and Alumni of Leadership Southern Maryland’s inaugural class. Recognitions include recipient of 2005 Charles County Minority Business of the Year; 2008 Woman of the Year award from Calvert County Concerned Black Women. Nominations for the 2006 Leadership Maryland class and 2006 Maryland’s Top 100 Women. Calvert County Commissioner’s Business owner appreciation recognition 2008 & 2014, and 2017 Excellence Award from the League for Innovation in the Community College. As a Commercial and Industrial Loan Officer with Community Bank, Aaron focuses on generating small business lending opportunities while building total banking relationships with the business community. He has over 10 years of experience in banking, client management and commercial credit training. Aaron dedicates his time in the Community as a youth football coach and serves as a board member of the Community Foundation of Southern Maryland. Delanta Brown is a resident of Calvert County. He started volunteering in the community since a young age, believing that it is everyone’s duty to give back to the community. Delanta is a graduate of Calvert High and is currently working on his BA degree in Health and Human Services. For 14 years he has worked for The Arc of Southern Maryland. Delanta loves working for and with the people he supports. He believes that working in the human services field is his professional calling. He can’t imagine doing anything more rewarding than making a difference in the lives of others. Delanta received his state level ARCE Certification through the State of Maryland and his nationwide certification for Supported Employment form Virginia Commonwealth University. He’s also certified as a Subject Matter Expert in Discovery Personal Genius Process. This certification is for professionals who work extensively with individuals with different abilities to find employment in the community. 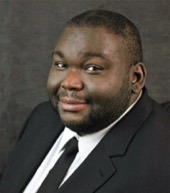 Delanta serves on the Board of Directors for Tri-County Youth Services Bureau, is a member of the Transitioning Youth Committee for the Calvert County Public Schools, and a host of other committees as well. In his spare time he likes to spend time with family, friends, and read a good book. Jeff started his career in the concrete industry in 1995 as a sales trainee in Washington DC after receiving his AS in Business Administration from the College of Southern Maryland and attending University of Maryland University College. In 1998 he was promoted to Territory Manager followed by Sales Manager, GM VA Operations, and currently Concrete Operations Manager for MD, VA, and DE. 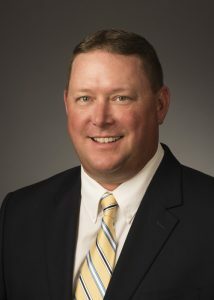 He has been engaged in the ready mixed concrete industry as a board member for the Maryland Ready Mixed Concrete Association, Chairman Virginia Ready Mixed Concrete Association Northern Virginia Concrete Council, Virginia Ready Mixed Concrete Association board of directors and VRMCA Secretary/Treasurer. As a native of the Chesapeake area, Jessica is pleased to serve as a board member for the Community Foundation of Southern Maryland. The opportunity to partner those in need with the organizations that provide resources is one of many ways she is entrenched in the community. She is also an active parishioner, attends many local Chamber of Commerce events and regularly volunteers for the school and sports leagues in St. Mary’s County where her Son, Daughter and Husband of 13 years live and enjoy their time with an extended network of family, great neighbors and wonderful friends. Jessica is most thankful for the business and personal relationships that extend throughout Southern Maryland. Jessica joined the Community Wealth Advisors in 2017, serving as an Investment Associate with Infinex Investments, Inc. She holds licensing for life and health insurance and achieved Series 7 and 66 registrations. Jessica received a bachelor’s degree from Marymount University in Arlington, VA and a master’s degree from the University of Phoenix. Dr. Evalyne B. Ward is a transformational leader with servant leadership tendencies. Her entire life is built on a foundation of faith, consistency, integrity, opportunity, and wisdom. Dr. Ward is passionate about faith, family, and service to community and country. She is committed to the underserved, especially children and the elderly. Dr. Ward has worked for over 30 years in the healthcare industry. She considers herself fortunate to have had the opportunities to serve organizations that aligned well with her personal passions such as St. Jude Children’s Research Hospital and the Institute of Medicine here in Washington DC. She currently serves as the Director of Operations, Region II, for the University of Maryland Community Medical Group. Dr. Ward served as a governance and finance expert for the Health Resources and Services Agency and traveled extensively as a consultant throughout the US working with Federally Qualified Health Care Centers. Dr. Ward is certified as an Administrator of Physician Practice Management (CAPPM) from the American College of Physician Practice Managers and operated a private consulting practice located in Charles County. She served 10 years in the United States Army Reserves. In her spare times she enjoys spending time with her children and grandchildren, cooking, decorating, golfing, reading, writing, and sitting by large bodies of water. Southerland-Smith is a seasoned non-profit executive with more than 20 years of experience in the field of accounting, finance and operations. She possesses expertise in leading highly impactful nonprofits in advancing their mission and exceeding their goals. Southerland-Smith has been consistently rewarded for her leadership and accomplishments through promotions and increased responsibilities. 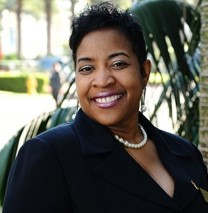 During her 17 years tenure at the National Society of Black Engineers (NSBE), she’s served in several leadership roles to include the Director, Finance, Deputy Executive Director and the Senior Director, Operations. In her role as the Deputy Executive Director and Senior Director, Operations, she serves as the second in command and chief operation/staff executive. She supported the Executive Director with overall management of the staff as well provided support to the National Executive Board. She had an impeccable track record of ethical behavior and strived to make a positive impact on the members of NSBE. An experienced Executive Consultant, the core of her expertise is in accounting and finance. She strengthened her knowledge in accounting and finance at the International Association of Fire Chiefs (IAFC), Fairfax, VA. IAFC provides leadership to career and volunteer chiefs, chief fire officers and managers of emergency service organizations throughout the international community. While at IAFC she progressed from the Accounting Assistant to the Director of Finance. Southerland-Smith has a demonstrated history organizational management, business process improvement, strategic planning and communications. John Trefry, Michael Besche, William Greer, Jr., Lara Castle, Kevin Wedding, Dorothy Harper (Advisory Committee), Gretchen Heinze Hardman (Executive Director); (back row) Susan Vogel (Advisory Committee), Michael Middleton, Frank Chaney, Brad Howard, Diane Warren (Advisory Committee). Not pictured: Evie Hungerford and John Jilek, Mary Grant (Advisory Committee) and Michelle Goodwin (Advisory Committee).